Silver Airways is returning to Bar Harbor, Maine for the peak summer season with daily nonstop service between Hancock County-Bar Harbor Airport (BHB) and Boston’s Logan International Airport (BOS) from Memorial Day weekend through Labour Day. During last year’s summer season, Silver Airways carried out an impressive 100 percent controllable completion factor, as well as arrivals well over 80 percent on the Bar Harbor – Boston route. Again this year, the flight schedule is designed to conveniently connect to Silver’s numerous codeshare and interline partners in Boston to over 75 destinations across the U.S. and beyond, including 27 of the most important airports via Silver’s codeshare with JetBlue to the northeast corridor, Florida and California. 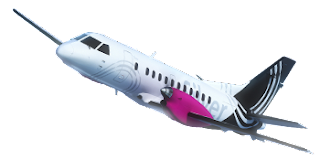 To celebrate the resumption of the summer service between Bar Harbor and Boston operating May 23 – September 3, 2019, Silver is offering fares from $89* for travel Tuesdays, Wednesdays and Saturdays, as well as fares from $120 for daily travel available at silverairways.com for a limited time and for ticketing before April 15, 2019. The Bar Harbor – Boston route will be operated with Silver’s fleet of 34-seat Saab 340B Plus aircraft.